/ What Do I Need for Camping in a Tent? Camping in a tent is an experience which grips you from the start. It just gets better and better the more frequently you find yourself spending time in nature. 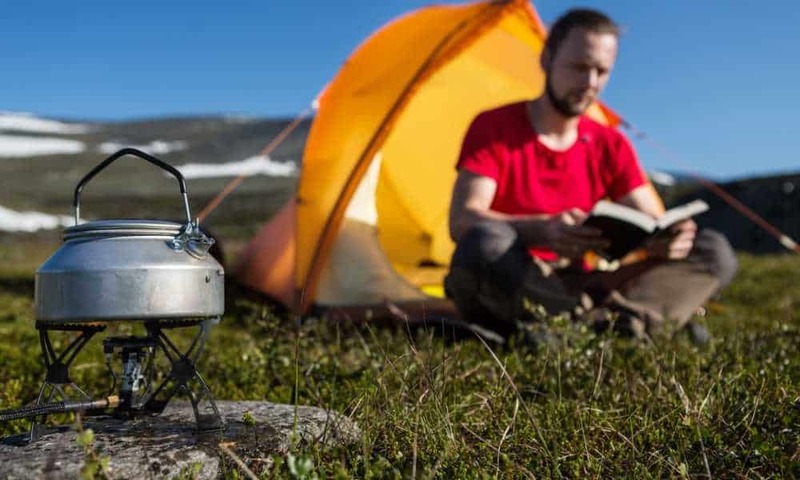 On each trip we discover ways that we can make camping more rewarding, camp life easier, and countless means to allow ourselves greater peace of mind when outdoors. 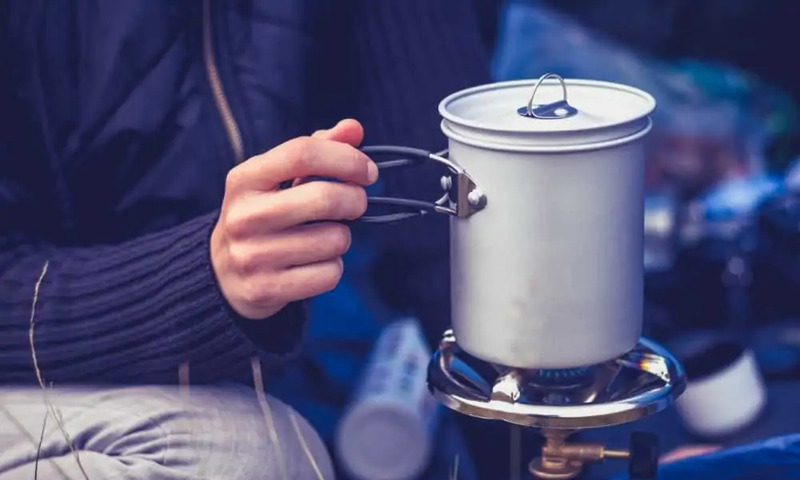 By ensuring that we have everything that we need at a moment’s notice, the full scope of camping opens up, allowing us to begin enjoying and become immersed in the environment more completely. 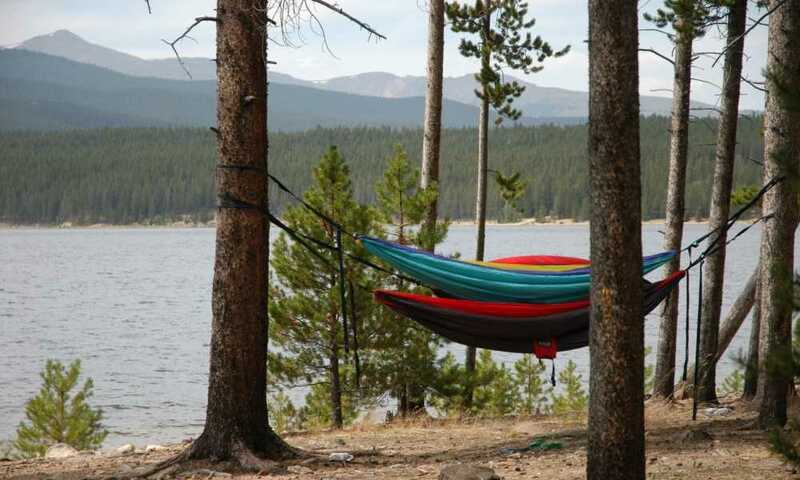 When first considering a trip into the wild many are left asking, “What do I need for camping in a tent?” To help you be ready and prepared for your next night under the stars we have compiled a comprehensive guideline of the best things to take with camping. First, you need to ensure that your tent is watertight, aired and ready to assemble. Prepare your tent, its poles and stakes, as well as its ground cover, and any tarp or extra canopy which you may have. In addition, pack a sleeping bag for each camper who’ll be present and a mattress or sleeping pad. Repair kits are invaluable to an extended camping trip. Be sure to have repair kits for your pads or mattresses, tent, ground cover, and tarp. Extra pillows are always good to cram in, taking up little space and coming in very handy given the unpredictably of camping in a tent. Most people find that a mallet is very handy for pitching a tent while extra cords to secure the tent itself in strong wind are highly recommended. If you know that you’re going to be camping for a few days at a time, bring along sandbags or other weights in case the wind picks up. Lanterns with extra fuel are a must as are extra batteries, and perhaps a power bank for multiple mobile devices or cameras. Food preparation and serving is next on your priority list. While we all love a campfire, provision should be made for if the weather turns. A gas cooker or propane stove is invaluable during strong wind or rain. Always take both firewood and charcoal along and a sharp chopping axe. Firelights are recommended and both matches and a lighter should be present. You’re going to need your campfire/BBQ grill and some newspapers or a brush to clean it. Pots and pans for atop the fire should be ready as should a basic storage device for food hot off the fire and perhaps a Dutch oven. Ensure that you have a large water jug and a few large water containers, as well as a thermos, a cooler with ice or icepacks, and both glasses and mugs. While it should go without saying, all camping equipment needs to be durable. Whenever you go camping, make sure that you know the area, taking a map and a compass with you. Most smartphones have this feature built in, while a conventional compass is a tool proven to save lives. Make sure you learn to read a map if you plan to camp in remote areas often. A dedicated GPS is highly recommended for those heading into treacherous terrain. If you are going to be out in the wild in an area where fresh water is in short supply, don’t rely on your provisions alone. Take a water purification or treatment kit and a radio to contact for help in case of the worst. Regardless of the season, current weather or upcoming weather forecast, camping in a tent comes with unpredictable environmental conditions. Always pack for the best and worst weather possible. 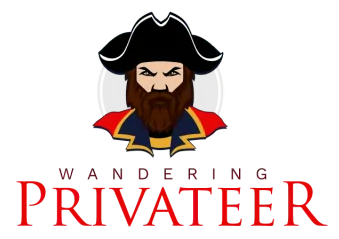 This means sunscreen and skimpy clothing in case the heat hits, as well as double-to-triple layers of clothing with thick socks, scarves and warm headgear in case you really can’t bear the cold. 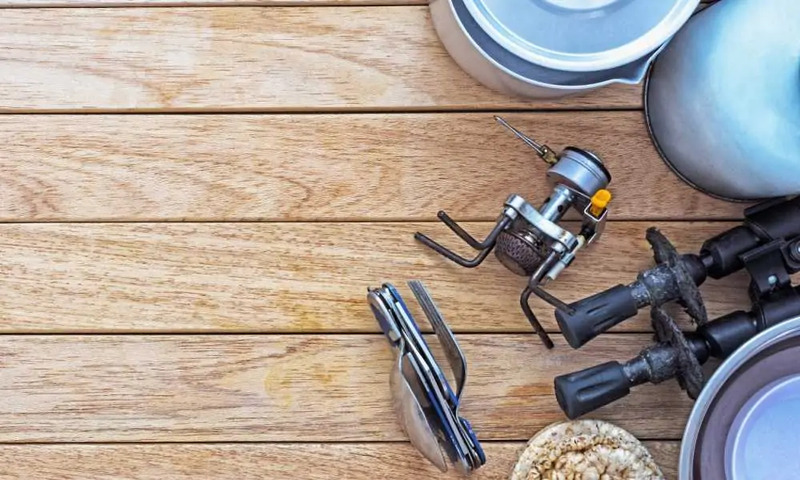 If you’re going to be camping and fishing, then make sure that you have a valid fishing and bait license. Also, pack all of your tackle with an easy, comfortable way to carry everything planned. Almost every single camper needs a good, sturdy backpack, even without fishing gear to lug around. Hunting licenses should also be up to date, with your paraphernalia packed and ready. 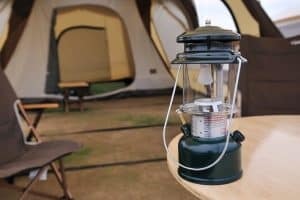 For conventional campers, candles are always handy for lighting up commonly used spaces, while a hammock and lantern pole can really make a campsite feel like home. If you’re bringing a camera, bring an extra battery. It’s also best to keep a charged cellphone off and safely packed away in case of an emergency. Extra food is welcomed by all and never underestimate the supplies which you take with. There is nothing which drops morale quicker than discovering that the camping trip needs to start being rationed.